"Valley Girl" brings me back to the days of hanging out at the mall, aqua net hairspray, sterling silver jewelry, and absolutely everything neon. 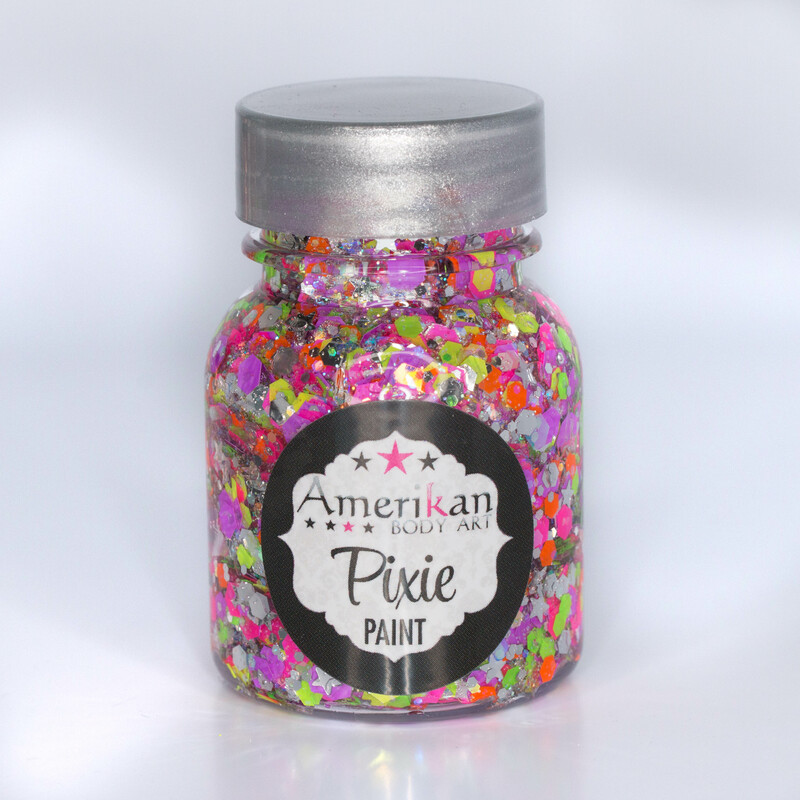 We blended our chunky sizes of blacklight reactive glitters with a mix of silver and holographic glitters. It looks great in daylight or under blacklight.